When the Olympic Games were held in Seoul 1988, the country gained attention from around the world as an important rising economy in Asia. The summer games allowed the construction of several infrastructures and facilities around the venue to entertain international participants and guests. 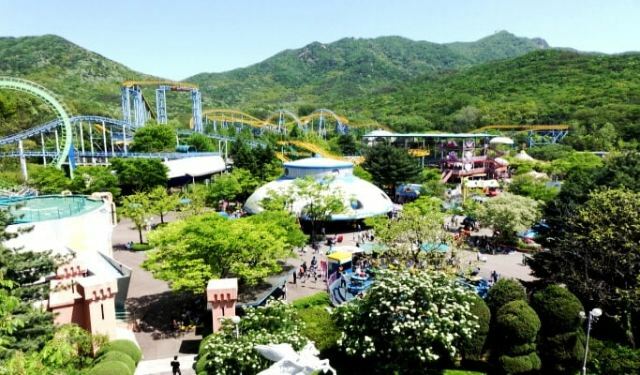 One of these facilities was Seoul Land in Gwacheon; Seoul’s first theme park that was completed just before the Olympics. 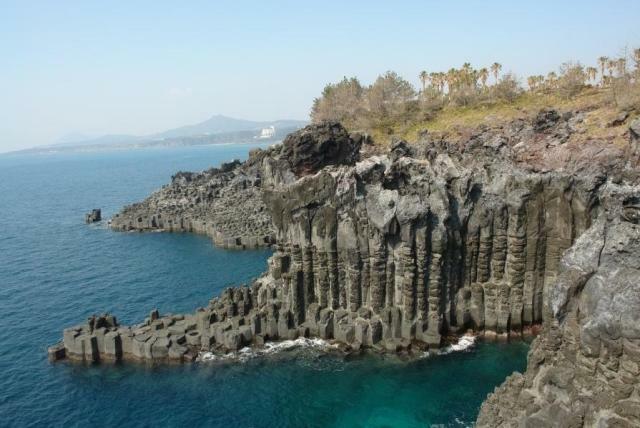 The volcanic island of Jeju in the southern tip of South Korea is popular for its extremely attractive lava and rock formations. One of these exotic places of interest is the Sangumburi Crater, an extinct volcanic crater that is supposed to exude death and barrenness but instead it is now teeming with lush vegetation. It is just one of the hundreds of proofs that Jeju-do used to be a fiery and violent volcanic island that rose in the Korean Strait. Today, Sangumburi Crater and the rest of Jeju-do attract local and foreign tourists without end, earning the island the title “Island of the Gods”. (Others call it “Little Hawaii of Korea”.) 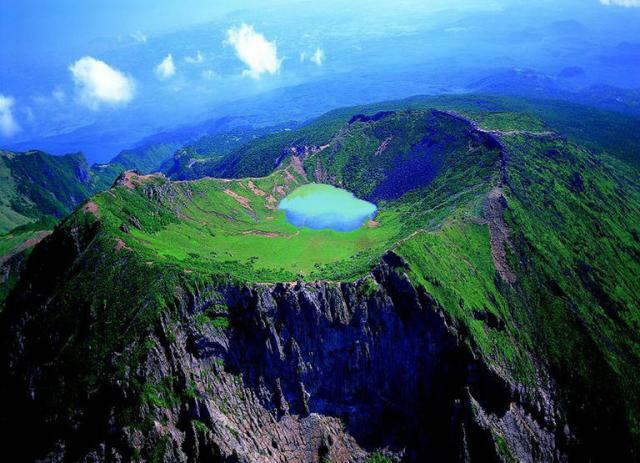 Sangumburi Crater is Korea’s Natural Monument No. 263. 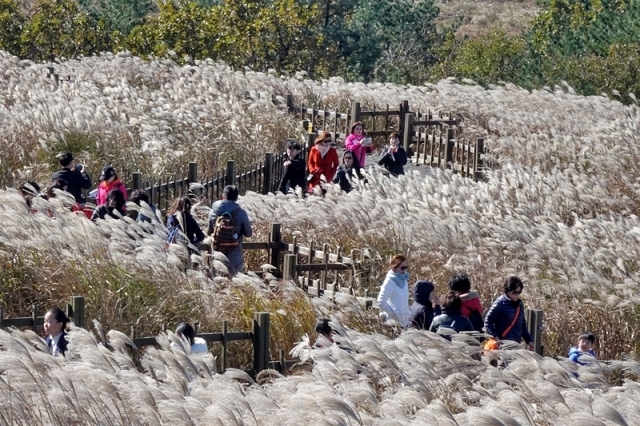 There is one place in South Korea that could perplex you, but in a good way. 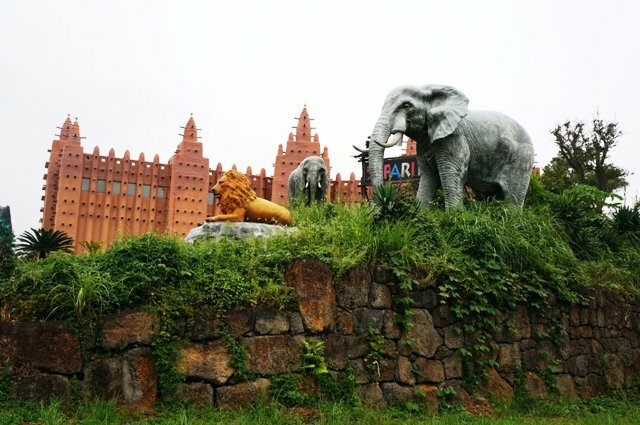 The Museum of African Art in the South Korean island of Jeju will transport you to Africa while you are still physically in Asia. Housed in a magnificent full-size replica of the Grand Mosque of Djenne, a 13th-century mosque in Mali, South Africa, Jeju-do’s Museum of African Art could very well be the best representative of African culture and collection of African art in Asia. South Korea is well known for many things, but mostly for its technology, heritage and steady economy. People may not typically think of Korea in matters of mountains, volcanoes and caves, but this major Asian country definitely has a lot more to offer. South Korea is proud to host three UNESCO World Natural Heritage Sites, all found within the Jeju volcanic island and lava tubes. Jeju-do is blessed with so many natural treasures, including three UNESCO World Natural Heritage Sites; no wonder it is referred to as “Island of the Gods”. The gods did a good job carving the island’s stunning landforms and spectacular peaks. 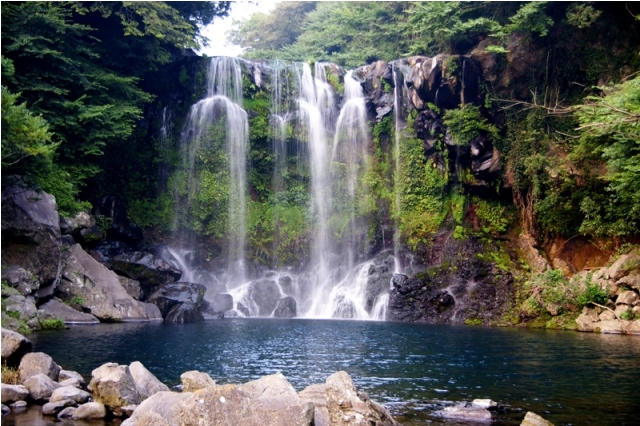 There are majestic waterfalls, as well, and one of them is Cheonjeyeon Waterfall. The beauty of the cascading waters and the pool below has inspired legends claiming that the gods came down to earth to swim and so they created this heavenly waterfall, and then went back up to the sky. Another legend tells about nymphs and fairies from heaven coming to bathe in the pond every night. The waterfall is known as “The Pond of God”, but the name “Cheonjeyeon” is quite literally translated, “Pond of the Emperor of Heaven”. Jeju-do is a beautiful, isolated island located in the Korean Strait south of the Korean Peninsula. It is called “Island of the Gods” for a good reason – the island is teeming with unique natural treasures, such as mystical land formations, enchanting caves and lava tubes, magnificent waterfalls, picturesque mountains, lush greeneries, pristine white beaches and abundant flora and fauna. The island’s beauty secret is that it is a volcanic island. Located at the center of the island is Mount Halla, which used to be an active volcano that spewed lava, uprooted boulders and molded the island’s landscape. One of Mount Halla’s masterpieces that is now a leading attraction in the island are the mighty Jusangjeolli Cliffs.